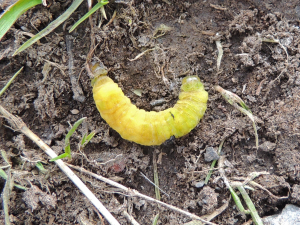 Observation - Unknown Larva - UK and Ireland. Description: Not sure if it came out of the ground or fell from a tree. (Hawthorn, Alder, Birch & Hazel nearby). Not sure if it came out of the ground or fell from a tree. (Hawthorn, Alder, Birch & Hazel nearby).